The course offers students the opportunity to further deepen their theoretical knowledge of transport logistics by means of practical and current case studies focusing on the global transport markets. Within the context of this course, participants are motivated to independently develop their own solutions for overcoming the challenges in the transport networks and to discuss them with the course instructors with regard to practical relevance and implementation. The course serves as an open discussion platform for the transfer of know-how between science and practice and rounds off the Transport Logistics module. The event is limited to a maximum of 20 participants. Im Verkehrslogistischen Seminar wird in diesem Semester unter dem Begriff „Verkehrslogistik 4.0" die Auswirkungen der Digitalisierung und Entwicklungen in der urbanen Logistik vertiefend behandelt und im Seminar diskutiert. Die Themenvergabe für das Wintersemester findet am Mo, 22.10.2018 von 09:30-10:00 Uhr im H 9107 (PC-Pool) statt. Die Teilnahme ist verbindlich. Prof. Dr. Sebastian Jürgens is Honorary Professor of Transport Logistics at the Technical University of Berlin. He studied law and philosophy at the University of Hamburg and the Ludwig-Maximilians-University in Munich. After his research fellowship in Sri Lanka, Jürgens received his doctorate in 1993 in philosophy at Ludwig Maximilian University. 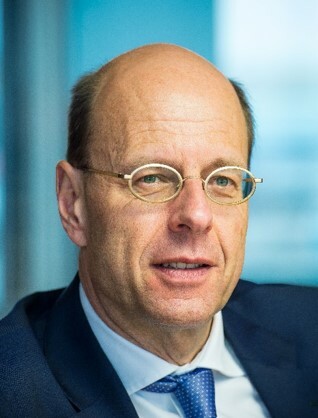 After his second state law examination, Jürgens first worked in a law firm in Munich and then in Singapore before joining McKinsey & Company in 1996. From 2002 to 2008 Prof. Jürgens worked at Deutsche Bahn AG, initially as Head of Strategy Development and Organization, and in 2005 took over responsibility for the Intermodal business unit. From 2009 to 2011, Prof. Jürgens was HHLA Executive Board member responsible for the Intermodal and Logistics segments. Since 2014 he has been Managing Director of Lübecker Hafen-Gesellschaft mbH (LHG).